Periodontal Cleaning is a term that refers to the professional, in-office deep cleaning of gums and soft tissues surrounding the teeth. This is important because the health and stability of teeth directly depends upon the health of the gums. When plaque, food debris and bacteria accumulate around the teeth, the absence of proper oral hygiene, this can create serious gum-related infections. The most common of which are Gingivitis and Periodontitis. Gingivitis is an inflammation, redness or tenderness and bleeding of gums. The patient may also experience pain and halitosis. This condition however, is reversible, and the health of the gums can be restored with the help of periodontal cleaning and oral hygiene maintenance. 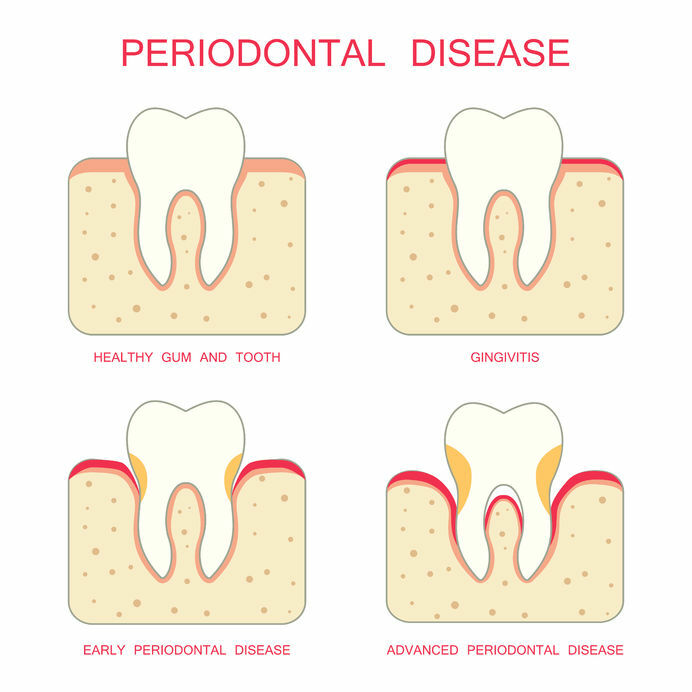 Periodontitis is a more aggressive, advanced version of Gingivitis, and occurs when left untreated. This condition can produce redness, swelling, pain and bleeding of the gums. In some cases, inflammation is so severe that it results in the formation of gaps between the tooth and the gums. Resulting in visible gingival recession and exposure of dental roots, which can lead to severe mobility, and early loss of teeth. Periodontal Cleaning includes manual scaling, Ultrasonic scaling, and root planning. The purpose of each treatment is to remove accumulated plaque, food debris, calculus and bacteria from all visible portions of the tooth, and from the underneath the gums. The process is relatively painless and non-invasive. Dental surgeons recommend getting professional cleaning done at least twice a year to maintain optimal oral health, and to keep infections like Gingivitis and Periodontitis at bay. If your teeth bleed every time you brush, you may have a periodontal infection. Book an appointment with our team at Rock Ridge Family Dentistry today to learn how you can restore the health of your gums, and keep gum-related diseases at bay!